A New Mexico man who saw his champagne wishes and caviar dreams dashed by lottery authorities who said his winning ticket was actually a misprint is now suing, claiming he’s owed the $500,000 prize that appeared on his scratch card. 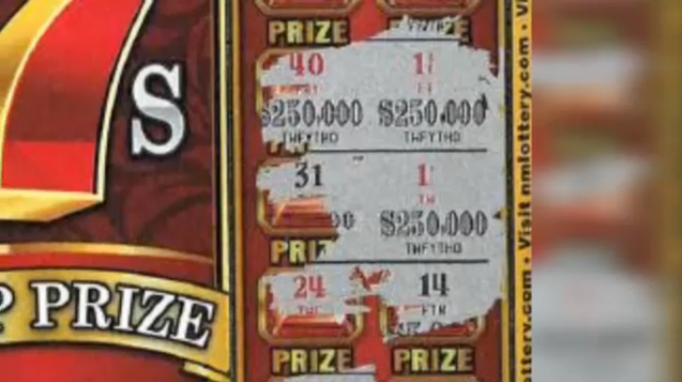 The 65-year-old man bought a $20 scratch card and uncovered two $250,000 grand prizes on the ticket, but lottery officials said it was a misprint as the maximum prize per ticket is $250,000. He’s now filed a lawsuit against the New Mexico Lottery for refusing to pay up, and is asking for $500,625, reports ABC6 News. The New Mexico lottery isn’t commenting while the lawsuit is pending, but back when the man first tried to collect on the ticket, a spokeswoman said there had been other defective tickets that had been discovered and removed.